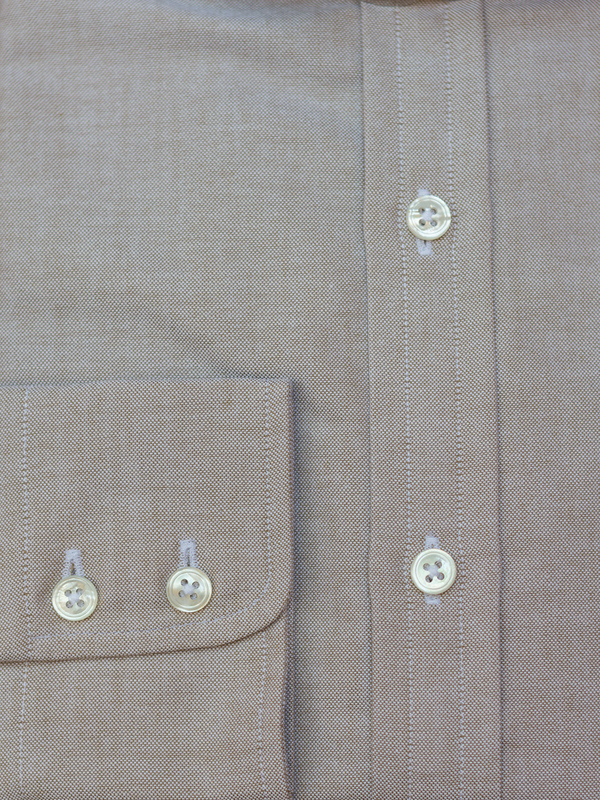 A softly interlined khaki Oxford cloth shirt that will take you from dressy to casual in a matter of seconds. Removing the collar bones will bring a nice curvature to the cut-away collars, and the soft rounded barrel cuffs are waiting for you to roll them up. 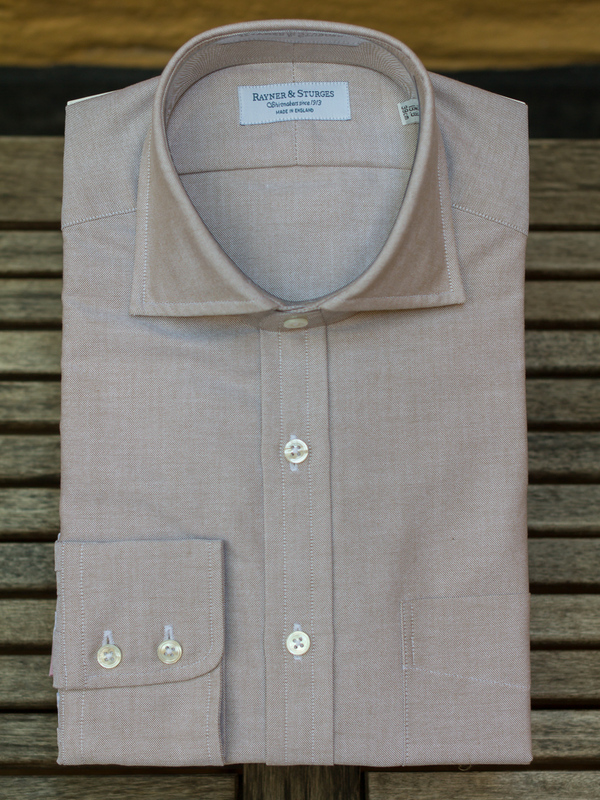 Made with a traditional placket and a left side breast pocket. Slim fit, but not overly tight. 100 % cotton Oxford, single needle stitching only, sewn in soft brushed interlinings, four piece yoke, reinforced gussets, Australian MoP buttons on sewn shanks, 18 stitch per inch, removable collar bones, placket front, two button barrel cuffs, Cut-away collar, one breast pocket. 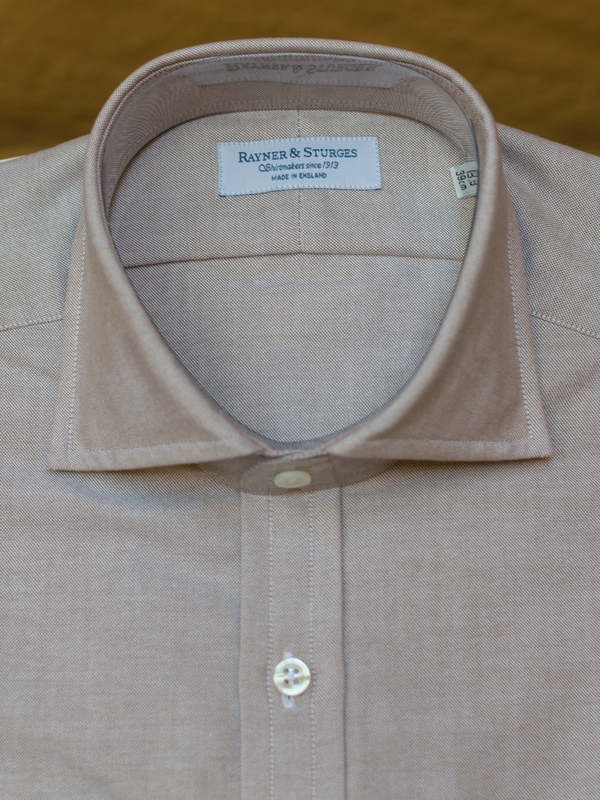 Since 1913 Rayner & Sturges have made the finest shirts and neckwear in their Kent factory. 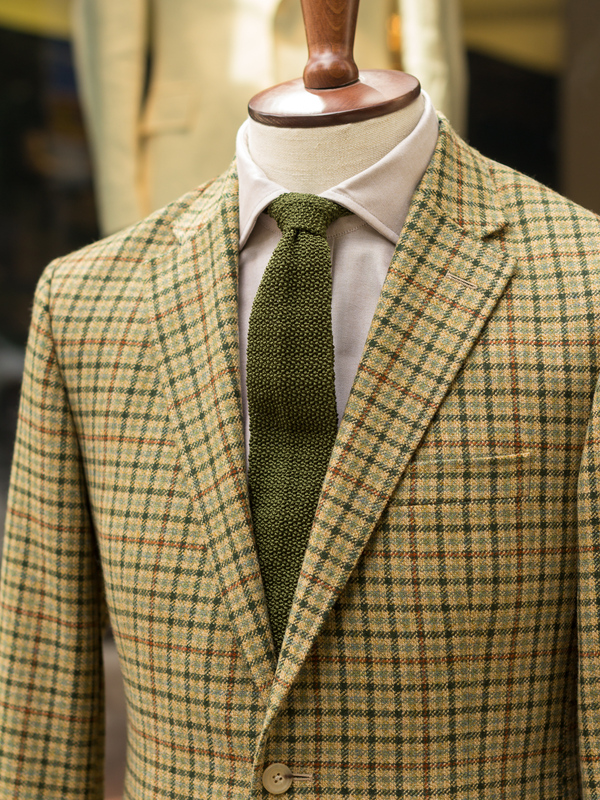 Single needle stitching and hand slipping are but two examples of their high standards.